Paneltech’s 409P Paint Grade MDO is a specialty overlay that gives the same superior surface quality of 357 & 360 with a higher caliper sheet. The added material in 409P is lends itself to the more challenging paint grade applications presented by softwood plywood. The overlay is saturated with petroleum-free phenolic resins derived from organic materials. 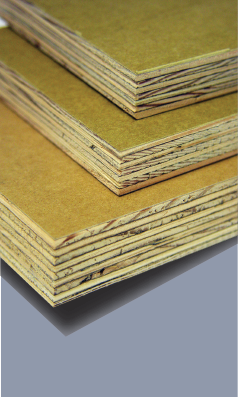 When applied to a panel, 409P provides a smooth, high-masking overlay with enhanced paint adhesion characteristics for plywood, OSB, particleboard, MDF and a variety of composites. It also has good machineability for decorative applications. As with other Paneltech MDO products, 409P has a proprietary glue line formulation that gives it strong adhesive properties when bonding to all commonly used wood substrates. MDO 409P exceeds the requirements of the PS 1-07 Voluntary Product Standard.